Europe's EEA agreement, which came into force in 1994, extends membership of the EU's single market to non-EU members Iceland, Liechtenstein and Norway.But the MPs' proposal is likely to be rejected by the Government, since Brexit Secretary David Davis has previously ruled out both options, calling them "in many ways, the worst of all outcomes".The EEA/EFTA recommendation comes in the latest controversial report by the 21-member Brexit committee of MPs, chaired by the former Labour Cabinet minister Hilary Benn. 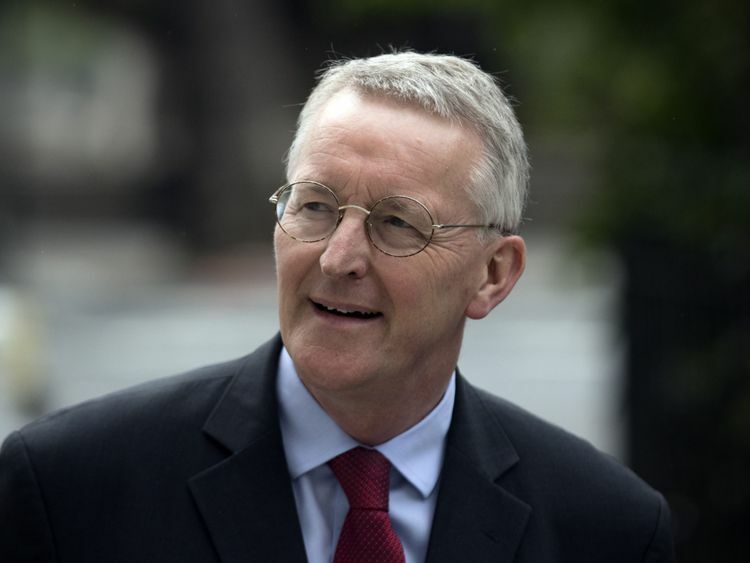 And for the second time in less than three weeks, Mr Benn has faced a mutiny by Brexit-supporting MPs on his committee, led by Conservative backbencher Jacob Rees-Mogg.Last month Mr Rees-Mogg and fellow pro-Leave committee members disowned a report calling for the Brexit transition period to be extended. Now he says the latest report serves no useful purpose.As well as voting against the EEA/EFTA proposal, the committee's Brexiteers also voted against the new report in its entirety, but they were defeated by 10 votes to six.The majority of committee members are recommending that if Brexit negotiations on a "deep and special partnership" fail, EEA/EFTA membership should "remain an alternative".The committee is also proposing 15 "key tests" for the Government's final deal with the EU, including the contentious issue of the Northern Ireland border.Launching the report, Mr Benn said: "Our tests set a high bar, but they are based on the Prime Minister's vision for our future outside the EU and the statement by David Davis that any new deal would be at least as good as what we have now. "It is vital that UK businesses are able to continue to trade freely and sell services into our largest market after we leave, without additional costs or burdens or a hard border in Northern Ireland and that we maintain close co-operation on defence, security, data and information sharing and consumer safety. "And he added: "Should negotiations on a 'deep and special partnership' not prove successful, we consider that EFTA/EEA membership remains an alternative which would have the advantage of continuity of access for UK services and could also be negotiated relatively quickly. "Besides keeping an open border between Northern Ireland and the Republic of Ireland, the committee's tests also include co-operation on crime and terrorism and tariff-free trade between the UK and EU.The report also calls on the Government to maintain convergence with EU regulations in "order to maximise access to European markets" and advises that any new immigration arrangements "must not act as an impediment to the movement of workers providing services across borders". 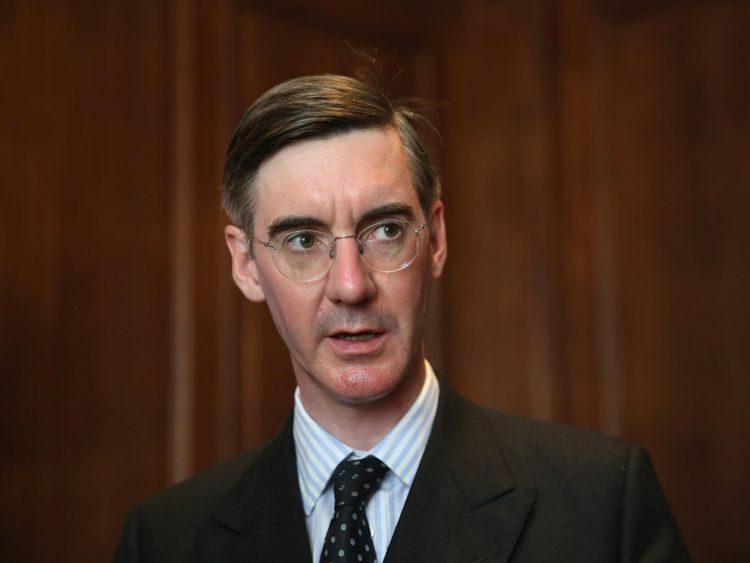 But Mr Rees-Mogg declared: "The committee's report is another effort by Remainers to reverse the result. The High Priests of Remain on the select committee voted to thwart Brexit by stealth. "This serves no useful purpose as select committees' reports are only influential if they are unanimous, dividing on Leave-Remain lines simply re-fights the referendum. "A spokesman for Mr Davis's Brexit department said: "As the Prime Minister said at Mansion House, the UK Government is seeking the broadest and deepest possible partnership with the EU, covering more sectors and co-operating more fully than any free trade agreement anywhere in the world today. "When we leave the EU we will leave the single market and customs union so that we take back control of our money, laws and borders. "To do otherwise will see us forever implementing, in their entirety, new EU legislation over which we will have had no say, and leave us with less control over our trade policy than we have now."